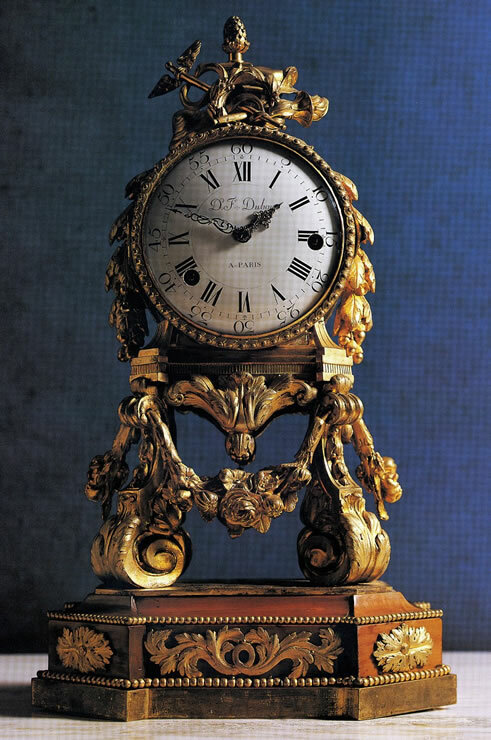 Louis XVI ormoulu night clock on a wood base. The silver hands are imbedded with diamond chips. The repeating movement is signed DUBOIS. A spirit lamp is placed inside the clock to light a rear rotating dial in order to tell the time at night.